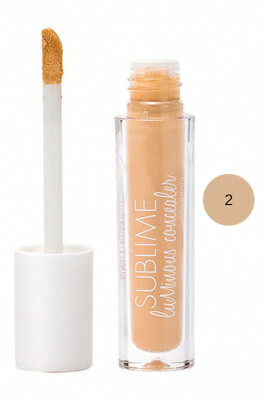 The Purobio Organic & Vegan "Luminous" Liquid Corrector illuminates your complexion and brings it radiance. Light sensor, it visibly reduces the signs of fatigue and the tasks. Composed of plant extracts and hyaluronic acid, this illuminator offers a plumping effect on your skin. Thanks to the antioxidant properties of avocado vegetable oil, your skin is protected from free radicals. Easy to apply, the Purobio Liquid Corrector moisturizes and hides imperfections for a unified complexion! Thanks to its silky and fluid texture, it is ideal for all areas of the face, even the most sensitive. Agréablement surprise par l'odeur. Teinte n°3 cependant trop claire pour mon teint light-médium. Apply Purobio Organic Corrector directly to the affected areas with the supplied applicator. Spread and blend with fingertips, brush or sponge. Real natural concealer, you can apply it on the edges of the nose, the corner of the lips, the hollow of the chin and the wrinkles of the forehead. For a luscious mouth, apply on the contour of your lips. Bring more brightness to your complexion with a touch of concealer on the edges of the nose. Pas du tout satisfaite de cet anti-cernes : la texture est collante, il est impossible à appliquer et il fait comme des bouloches. 11 euros foutus en l'air.